right now its stuck on home page with a message that says create your own form..
1. 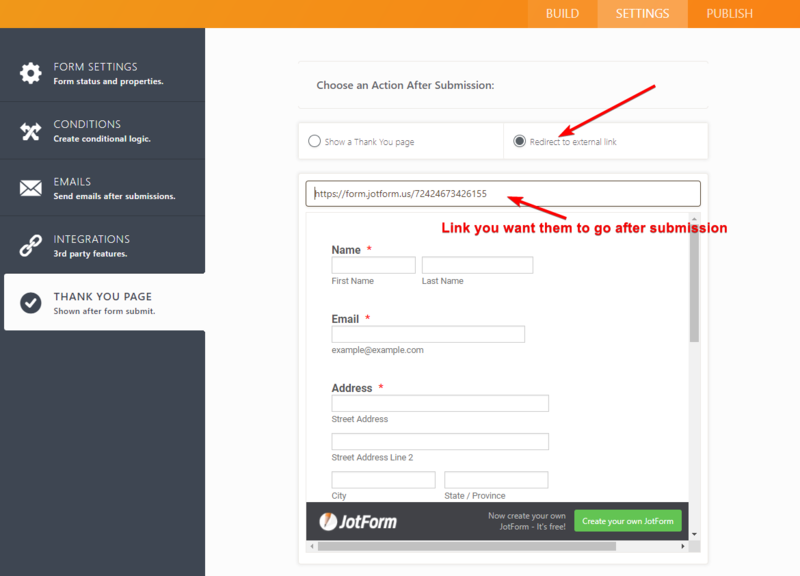 You can add a clickable link for them to go back to your form. 2. Use the "Redirect to external link" option. what about a timed redirect after thank you page? 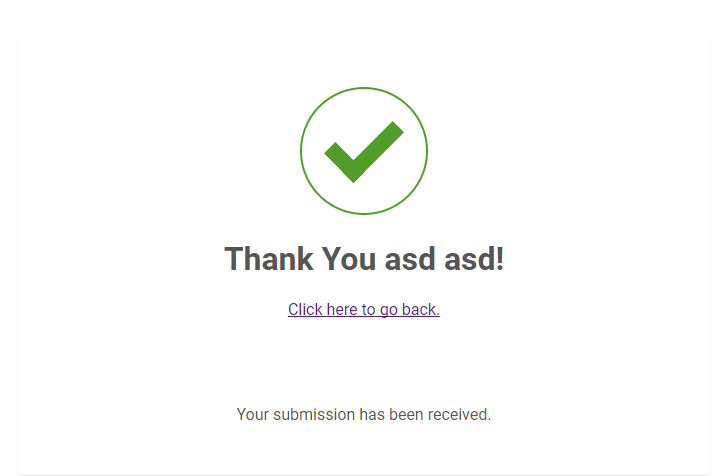 Unfortunately that is not possible, unless you have a custom thank you page to your website and you can add a script to redirect it back to your form after a few seconds.